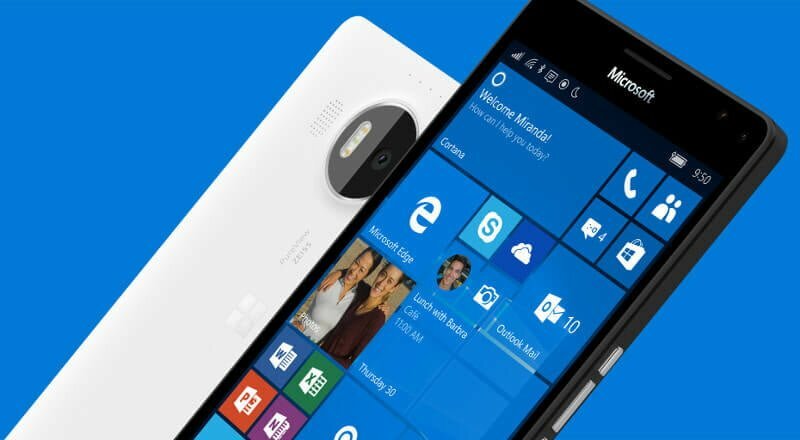 Microsoft had been giving tentative timelines for announcing the Lumia 950 and Lumia 950 XL in India. Earlier, the company announced that it will be launching the devices sometime in December, but in a latest move, the company has revealed that it will finally unveil the devices for India on November 30. The company will be holding two simultaneous launch events in Mumbai and New Delhi, these events will be exclusive to the Windows 10 insiders. The event attendees who will buy the Lumia 950 or Lumia 950 XL, on the spot, will be getting a Microsoft Display Dock free of cost. The display dock will come handy when using the much-talked about ‘Continuum’ feature, which turns your Windows 10 smartphone into a PC when connected to a monitor. The Display Dock features Display Port connector, two USB 2.0 ports, USB 2.0 high current charging port, USB-C port, and HDMI connector. In terms of the specifications, the Lumia 950 comes with a 5.2-inch QHD OLED display with a resolution of 1440×2560 pixels, and is powered by a hexa-core Qualcomm Snapdragon 808 chipset paired with 3GB of RAM and 32GB of expandable internal storage. The phone runs Windows 10 Mobile OS, and sports a 20-megapixel PureView primary camera with OIS and RGB LED flash, along with a 5-megapixel front-facing camera. In terms of connectivity, the phone supports 4G LTE, 3G, Wi-Fi, Bluetooth 4.1, GPS, and USB Type-C. It is backed by a 3,000mAh removable battery. On the other hand, the Lumia 950 XL comes with a 5.7-inch QHD OLED display with a resolution of 1440×2560 pixels, and is powered by an octa-core Snapdragon 810 processor coupled with 3GB of RAM. It features 32GB of expandable internal storage, and runs Windows 10 Mobile OS. The device sports a 20-megapixel PureView primary camera with OIS and RGB LED flash, along with a 5-megapixel front-facing camera. It supports connectivity features such as 4G LTE, 3G, Wi-Fi, Bluetooth 4.1, GPS, USB Type-C, and is backed by a 3,300mAh removable with Qi wireless charging support. Good rocking model – 950 xl.